Here are a few albums that came out this year that deserve some love. One thing I’ve always enjoyed is discovering new music. Yeah, there are old favorites in my collection, but I have those favorites because I’m open to listening to artists and genres I haven’t experience before. I’ve listed a few honorable mentions from various genres of 2018 releases. From the electronic scene, VNV Nation out of Germany released “Noire,” their 10th studio album, which contained equal parts haunting lyrics (“A Million”) and upbeat industrial/EDM undertones (“Where is the Future?”). Next up is something nobody expected from Canadian DJ Deadmau5 but is surprisingly enjoyable: an orchestral composition called “Where’s the Drop?” Even the title tells us it’s not his typical bass dropping sound. 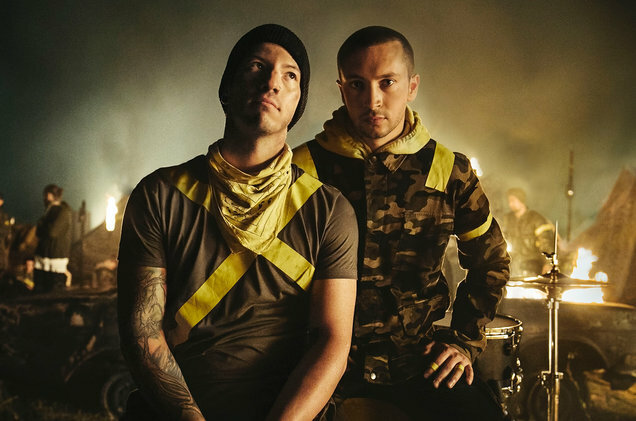 Moving on to the pop scene, Twenty One Pilots gave us “Trench” with its blend of hip hop and electro-indie pop boasting such tracks as “Jumpsuit” and “Chlorine.” Panic! at the Disco released “Pray for the Wicked.” With its party-like sounds blending electro-pop and psychedelic tones, tracks like “Say Amen (Saturday Night)” and “Roaring 20s” make you want to get up and dance. From the noisier side of life, Unearth, a melodic metalcore act out of Boston, released the simpler (though neither kinder nor gentler) “Extinction(s)” four years after their last release, “Watchers of the Rule.” The group gives us heavy riffs and blistering leads on their seven-string guitars with a switch between metalcore growls and melodic vocals. Suicidal Tendencies released its 13th album, “STill Cyco Punk After All These Years” alongside the “Get Your Fight On” EP. STill Cyco is a new recording of a solo project, “Lost My Brain (Once Again)!” by vocalist Mike Muir, under his solo name, Cyko Miko. “Get Your Fight On” contains some previously unrecorded and reworked material. Both are reminiscent of ST’s roots in Southern California skatepunk thrash. Finally, my favorite of 2018, Machine Head’s “Catharsis.” Their Oakland 1990s formation was influenced by the likes of Slayer, Suicidal Tendencies and Pantera and has culminated in their ninth studio album. It displays a mix of clean and death growl vocals beginning with opening track “Volatile,” written and recorded the day following the Charlottesville massacre. My favorite track, “Bastards,” was written as a folk song and has become the focal point of the album. Vocalist Robb Flynn stated in an interview with Blabbermouth.net that he wrote the poem following a difficult conversation he and his wife had with their two sons after the Trump election. The entire album is a poetic reflection on political tyrannies and social injustices and is a must for any metal head or anyone who is pissed off about our political and social climate. Be bold be strange and turn off your radio, explore artists similar to those you enjoy in whatever music service you subscribe to or try something entirely new. You might surprise yourself.